Xploritall announces the 2nd annual list of the 25 Best Restaurants in Denver. We sorted through several key diner and critic ranking lists to determine the overall winners. This "poll of polls" balances the opinions of dining critics with ratings of actual diners. The winners represent a diverse offering of cuisines and ranging from casual to fine dining. Though Xploritall places less emphasis on opinions and rankings than other travel sites, the Top 25 list is a great tool for planning a visit to the Mile High City. There are lots of other great places to eat in and around Denver, so consider this list a starting point. And don't forget to sign up to add these places to your Xploritall travel planner. We will be announcing the Top25 Restaurants for other cities in the next few weeks. Located just outside downtown, Chef Alex Seidel offers a seasonally changing farm to table modern take on comfort food in his small, intimate neighborhood venue. Also features an eclectic wine list. Chef/owner David Redzikowski and Bryan Dayton, Beverage Director/owner, brought a bit of their seasonal, wood-fired, eclectic American fare to Denver. They successfully established this format at their sister restaurant, OAK at fourteenth in Boulder. 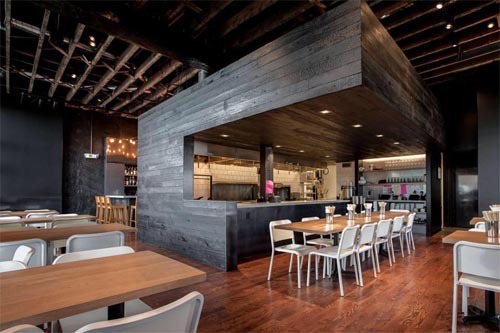 Acorn is situated within The Source, a repurposed 1880's foundry building in the River North district. Head Chef Jennifer Jasinski, for 10 years a key member of the Wolfgang Puck franchise and a finalist on Top Chef Masters season 5, chose Denver to settle down and begin her own dining empire in the Larimer Square neighborhood. At Rioja, she created a seasonal, Mediterranean inspired menu using local ingredients. A European inspired market and restaurant situated in the trendy, newly reconfigured Union Station. A market serving breakfast, lunch and pastries during the day, the restaurant takes over for dinner. Another venture by Chef Alex Seidel, who also runs Fruition. One of several TAG restaurant Group restaurants owned by Chef Troy Guard, Guard & Grace specializes in wood-fired dishes, especially steak and seafood. Quick-riser Work & Class describes itself as a “square meal, stiff drink, and fair price.” Its influences reflect the Midwestern and Latin American heritage of the owners. Work & Class occupied the #1 on Yelp yet again at the time we compiled our list. This Highlands neighborhood sister restaurant of fellow Top 25 awardee Linger and newly opened Ophelia's has a field to fork mentality, and emphasis on organic, local ingredients. The menu focuses on vegetarian, vegan, food allergy concerns, as well as humanely raised meat products. When you think of landlocked Denver, you might discount the sushi offerings to be found here. But Chef Toshi has incredibly been keeping high standards at Sushi Den since 1985, flying in fresh fish from markets in Japan. Also check out its sister restaurants next door, fellow Top 25 placer Izakaya Den and the newly opened Ototo. 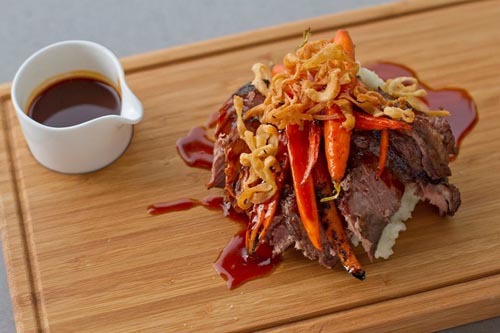 Executive Chef/Owner Lon Symensma showcases his Asian-influenced menus of traditional ingredients with a modern touch, from small plates to family styled dishes. Bar Dough is the highest ranking debut for this year’s list. 5280 Magazine ranked it #6 in their annual best restaurants list, and it was also featured in the Eater 38 list for must-eats in Denver. Linger's niche is small plate takes on street food from around the world. Linger gets its name in a nod to the building's former life as a mortuary, and where the body of Buffalo Bill was reportedly kept for 6 months. But owner/chef Justin Cucci, who also runs Top 25 restaurant Root Down, embraces this history and calls Linger an "eatuary." Siblings Paul and Aileen Reilly serve rustic American craft cuisine centering on “farm-focused food.” Fresh local ingredients and utilization of the whole animal reveal a commitment to inventive and responsibly-sourced cuisine. A thoughtfully curated drink and wine menu is paired to the dishes. The second restaurant launched by the owners of Sushi Den, Izakaya Den offers small plate style selections with international influences, as well as a large sake menu. You might not think of sushi in a landlocked state, but they have fresh fish flown in from the family market in Japan daily. 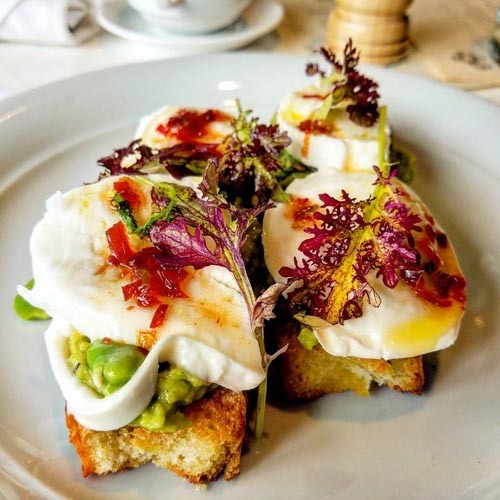 Osteria Marco makes its debut on our second annual list, after showing respectfully on several diner-driven polls: #16 on TripAdvisor, #18 on Yelp, and #9 on Zomato (formerly UrbanSpoon). Run by chef and owner Frank Bonanno, it is part of the Bonanno Concepts empire, which also includes Mizuna, Luca, and vesper Lounge. A small bistro that is quickly becoming a hot seat to get in the area. The menu changes with the availability of ingredients - we're talking daily! There are no reservations, so you may want to plan an alternative if you're not willing to wait. 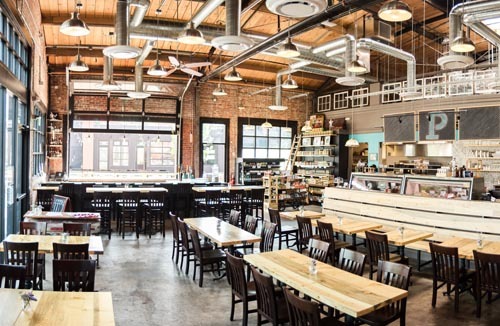 Hop Alley recently took number #1 in 5280 Magazine’s Best Restaurants list, and is also included in Eater’s essential 38 list. These accolades have made this a popular destination in the already hip foodie-centric RiNo neighborhood. Proprietor Tommy Lee, also owner of Uncle Ramen, features Chinese fusion fare meant to be shared. 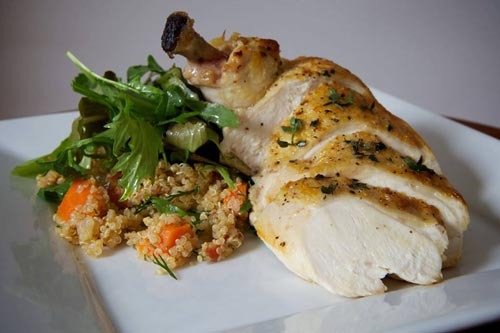 French influenced healthy eats made in house using 100% organic and locally-sourced ingredients. 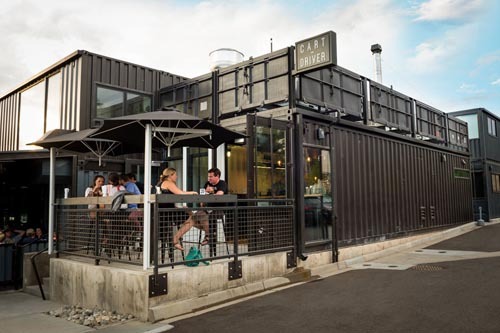 A sleek new venue created from repurposed shipping containers in the exploding RiNo neighborhood. The inspiration is old-world – modelled after Italian cart-drivers who sold food goods from their cart along the road to the market. Located in the Cherry Creek North neighborhood, Barolo Grill's menu recreates the tastes of the Piedmont and Tuscany regions of northern Italy, cracking the top lists for both critics and diners. 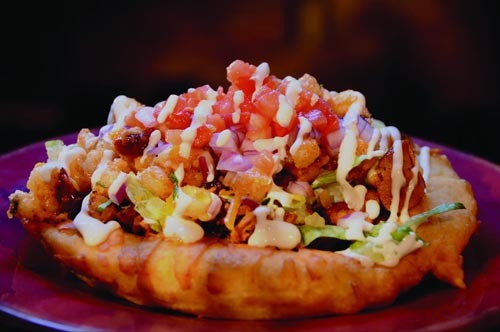 Tocabe offers Native American dishes with a contemporary twist in a fast casual setting. Seasonal restaurant and bakery blending seasonal ingredients with eclectic influences. A family-run business in the burgeoning RiNo area. 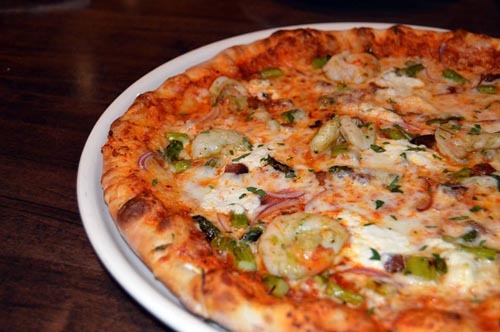 Traditional Italian-American fare in the southern Denver suburbs. Colore made the list by placing #2 on the Zomato (formerly UrbanSpoon) diner rating site. 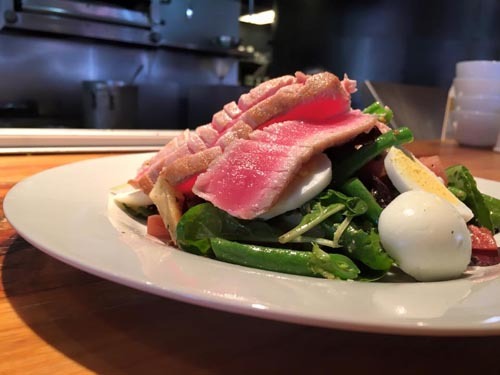 The Plimoth adds a modern twist to French and Italian staples using local and seasonal ingredients on their always changing menu. 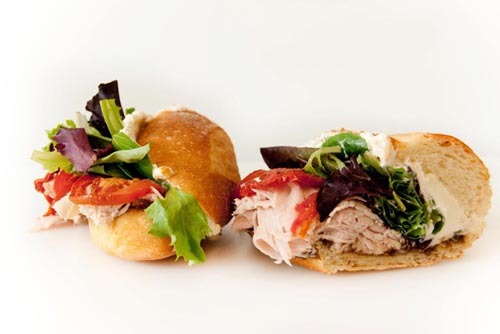 Chop Shop joins our list thanks to a #3 showing on Yelp. The concept is “chef driven fast casual / quick serve” – meaning you wait in line to place your order like fast food, but the food is on par with and prepared like a full service restaurant. Highlights for us were the short ribs and the gilled bacon wrapped meatloaf. Part of the Crafted Concepts family (Bistro Vendome, Euclid Hall, and fellow Top25 winner Rioja), Stoic & Genuine made the 5280 Magazine Best Restaurants list and is included in the essential 38 restaurants for Denver on Eater. 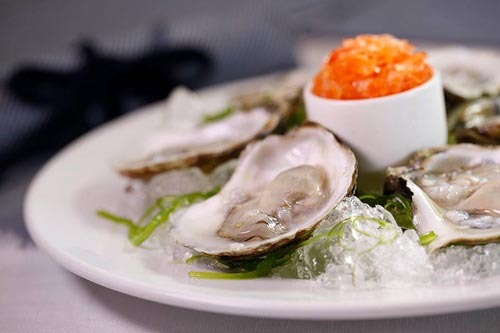 Modern and classic seafood menu sourced from both coasts.